I did it again — I tumbled down the online shopping rabbit hole. Everything started out fine: I was innocently browsing for a new kitchen knife set, but curiosity compelled me to click on an ad for rechargeable heated butter knives, which led me to Star Wars-style lightsaber chopsticks. There’s something magical about discovering the gadget that makes your soul sing and making it yours with the click of a button. Behind $2.3 trillion in sales in 2017, eCommerce should hit $4.5 trillion by 2021. What’s more, 93% of online shoppers like to purchase from small and local shops, and 61% say they find unique products unavailable elsewhere by shopping online locally. Businesses of all sizes can cash in on the growing demand for online retail, but setting up a store can feel like a daunting task. Boasting 48 million downloads, WooCommerce is one of the most popular eCommerce platforms out there. There’s a lot to think about when getting started, however, so we’ve outlined the key features to consider, and listed our favorite hosts and why we love them. Time is money — and in eCommerce, wasted seconds can literally translate to dollars lost. Nearly 80% of online shoppers say they won’t return to a website if it loads too slowly — and 47% expect a page to load in two seconds or less. Each second lost to slow-loading pages can build up, eventually resulting in abandoned carts. Seek a high-performance hosting service that can ensure your store is running smoothly and swiftly — whether your customers are visiting during peak hours or find themselves among the insomnia shopping set at 3 a.m. Beyond the need for speed, security and tech support are two of the most important assets to seek in a hosting service. A strong host guarantees uptimes at, or as close to, 100% as possible, and a robust support team that can tackle any technical questions or issues as they arise. Because most business owners have enough responsibilities to keep them occupied without having to worry if their site is down, built-in 24/7 site monitoring and support are invaluable assets. From a behind-the-scenes standpoint, a shop’s speed, security, and accessibility may be what either turns the cogs or throws sand in the gears of an online sale — but shopkeepers should never underestimate the power of user-friendly design. Studies on consumer psychology indicate that a whopping 93% of consumers consider visual appearance to be a deciding factor in a purchasing decision. WooCommerce core developers maintain Storefront, a theme that has been downloaded more than 2 million times. Don’t stress out over color wheels and store schematics just yet, however. Neither coding nor creativity need be your strongest suit if you have a solid theme at your disposal upon which you can build your store. Because WooCommerce exists to add eCommerce functionality to WordPress, hosts are clamoring to serve up valuable features to attract the millions of site owners using these tools. 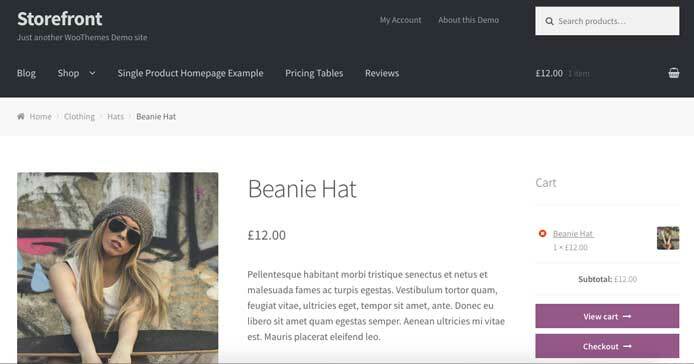 These three hosts offer all the bells, whistles, and WooCommerce-friendly themes that entrepreneurs looking to launch a stress-free, snazzy storefront should have at their disposal — and some will even pre-install the top-used Storefront theme when you sign up. Since its inception, WooCommerce has worked hand in hand with the world’s leading content management system, WordPress. WooCommerce launched in 2011, geared specifically for small- to large-sized online merchants who were already using WordPress. The content management system’s parent company, Automattic, acquired the plugin in 2015 to further streamline integrations and maximize development impact. WordPress earns its global popularity for being a powerful and highly customizable platform from which to operate a business, blog, or storefront. However, power and flexibility do not always translate to simplicity — and getting started with WordPress and WooCommerce can be tricky for beginners. Whether entrepreneurs are still learning the ropes of the WordPress platform, or simply too busy managing their business to devote hours of their time to website maintenance, managed hosting for WooCommerce is an excellent option to consider, as it transfers the burden of dealing with the nitty-gritty details to the host’s tech experts. Managed services means hosting experts will make sure your store runs at peak performance. Often among the pricier eCommerce hosting options, managed hosting automatically implements best practices on your site and generally offers the most peace of mind. A managed host does the work to maintain your site’s most vital components — including uptime, speed, and security, and also ensures the timely implementation of software updates and bug fixes. With the time saved on the behind-the-scenes work, business owners can focus on their passions and products — while knowing that their site is in capable hands. In 2018, Liquid Web, one of the industry’s most trusted managed hosting providers, unveiled its new Managed WooCommerce Hosting Platform. The goal was to give online merchants the same flexibility of a robust eCommerce platform with the benefits that come with a fully managed solution. And, as many early adopters found, Liquid Web’s platform delivered huge returns on investment due to its reliability, speed, and performance. The best part? Web retailers can get up and running on the managed WooCommerce solution for just $28 (after a 28% discount for the first two months). If you’re looking for a low-cost managed solution that’s specifically tailored for WooCommerce, Liquid Web may be right for you. But be sure to take a look at the reviews of our other top managed service providers that deliver the tools necessary to succeed in today’s competitive online marketplace. WooCommerce’s global popularity, in large part because of its connection with WordPress, makes the platform a strong contender for small to large businesses and entrepreneurs seeking flexible eCommerce solutions. However, a robust selection of popular eCommerce alternatives exists for merchants to consider. Choosing the right eCommerce platform comes down to a matter of preference, requirements, budget, and tech prowess. WooCommerce, as an open-source and free plugin, requires outside hosting and a working WordPress installation but provides the business owner with more control to customize his or her store and manage data. One important consideration to weigh is the value of using a hosted service, such as Wix, which operates as a subscription solution that takes care of all your technology needs. In addition to eCommerce functionality, hosted services will house your store on that company’s servers. That means that, in addition to hassle-free design and operations, the companies listed here control your site data. The proprietary systems also tend to make migrations and site transfers a lot more challenging. That being said, these providers are consummate pros at eCommerce and can be trusted to deliver a high-powered online shopping and store management experience. If you decide that WooCommerce is the eCommerce platform best suited to your online store, it’s important to take into consideration the plugin’s hosting requirements, as well as the requirements for the WordPress platform in which it operates. WordPress goes a step farther in recommending that site owners choose a host that supports PHP version 7.2 at a minimum. Pretty much any host worth your business should be able to meet those needs, but you might want to pay attention to the features list when choosing each plan. The more you can exceed the base requirements, the faster and more successful your store will be.